Following his introduction to UK audiences last year, the big question is how would Cale Tyson build on this impressive beginning? The answer is about to be revealed when CARELESS SOUL gets its release on April 8 and folks are not going to be disappointed. Think – Louisiana Hayride meets Phil Spector meets Muscle Shoals in its heyday – and you can start to aurally imagine the sound that is going to pour out of your chosen listening device. There is a little bit of adjustment needed from the debut recordings that had multiple issues across the continents and get prepared for the horns influence straight from the early bars of the opening track. Once the necessary adjustments have been made, sit back and enjoy a masterclass of country soul – 2016 style. CARELESS SOUL gets its UK release on Clubhouse Records and the notion of any gamble is erased immediately once this record sinks its mighty grooves into your pores. You will not be surprised to learn that it was recorded at the immortalised Fame Studios in Muscle Shoals with a production team and list of players worthy of acclaim when you gaze at their musical associations. Expect loads of strings and horns arrangements, courtesy of Jordan Lehning alongside the usual heavy dose of pedal steel, keys, bass, drums and assorted guitars. Sonically they pull together the other excellent traits of stellar song writing and Cale’s innate ability to express believable feeling through his voice. The twelves tracks emerge to be a roller coaster of emotions, treading the fine lines between love, loss, pity, redemption and all aspects of introspective analysis. But did you really expect anything less? Cale Tyson is the master interpreter of the sad song and there’s plenty to wallow in on this outstanding record. His debut UK shows last year presented a performer with a striking presence and the good news this year is that the live show is being extended to a four piece band, sadly probably no horns but plenty of pedal steel no doubt. As earlier indicated, the musicianship on the new record is second to none, whether detected via the pedal steel on the re-assuring sad ‘Dark Dark’ or the scintillating keyboard piece on ‘Railroad Blues’, a song title straight out of the annals of traditional country music. The high spots on this record can almost be on a rotation and at the time of writing, the back to back blissful duo of ‘Travelling Man’ and ‘Pain in My Heart’ soar to the top of the pile. They epitomise Cale at his heartfelt best, imploding with tear jerking passion and leaving the listener in a drooling state of mind. Depending on your mood there is other significant port of calls including the soul stomping title track ‘Careless Soul’ packed with strings and embodying the appeal of early 60’s pop music. For a more earthy rock ‘n’ roll style number look no further than the subsequent track ‘Easy’ complete with stimulating instrumental solos. If you are looking for stylish writing then ‘Gonna Love a Woman’ will meet your approval and leave you to decide whether Cale is being witty or bitter in a ditty laden track bestowed with the catchy chorus line ‘if you’re gonna love a woman, you’re gonna be blue’. The album starts and finishes in contrasting styles. Opener ‘Staying Kind’ leaves you in no doubt of the direction the record is going to take with horns immediately kicking in and a theme of clinging on to what you’ve got. On the other hand, ‘Ain’t it Strange’ acts as a restful closer, almost bringing you down from the pleasurable turmoil that the other tracks have generated. 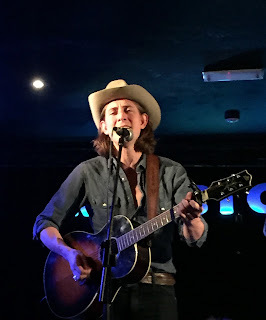 The second track on the record, ‘Somebody Save Me’ is a stark reminder that amongst all the lavish additions, Cale Tyson is essentially a country singer from Fort Worth Texas making the well-trodden route to Nashville Tennessee. The riveting keys and steel enhance this track which very much looks inwards with redemption. Apart from the short track that is fully explained in the title, ‘Pain Reprise’, the final song for consideration is ‘High Lonesome Hill’ which proves the most difficult one on the album to put a finger on. Either way, it fits perfectly with the vibes of the record and contains further evidence of Cale’s emotive vocals pouring out a multitude of expressive feelings. CARELESS SOUL is an exceptional album showcasing country soul at its very best. It is a wonderful experience conjuring up images of wandering across the AM dial. There are no half measures; this is a full on release honing in on a heady mix of addictive pleasure and pain. 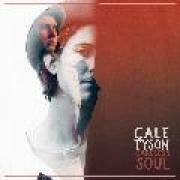 Cale Tyson is a performer with natural charisma, possessing the nous for delivering explicit feelings in his songs. Any doubts that the promise of 2015 couldn’t be followed up are now distinctly obsolete.